Trouble tracking down the right kind of flooring for high-traffic hallways and stairs? We found options that save you money by keeping new carpets looking good. Your carpet endures a lot, especially in heavy traffic areas, like hallways and stairs. Depending on the type of carpet and how many people use it, your new flooring could show signs of wear and tear within months — unless you pick the right kind and colors. Think of your carpet like a postal carrier: It must stand up to tracked in rain and mud, sleet and snow and more. But it has to show up to work, hopefully looking sharp, every day. When your threads are threadbare, it’s time to replace them. This can be daunting if you’re not sure what to look for when picking carpet for high-traffic areas. It may be tempting to pick a carpet based on the color, texture or price. But there are several things to consider, especially if you want to maximize your flooring's life and looks in a high–traffic area. Taking a few minutes to learn about textures and colors that hide more sins and how you can protect your investment. Everyone loves the feel of super-thick, angelic-white shag carpet with a 1.5-inch pile height. But is it right for your home? If you live in a pet- and kid-free home, and you eat and drink only in the kitchen, have your local carpet installer roll out the shag. But for most people, it’s not a practical flooring choice. We live with loved ones, have pets and probably have spilled a glass or two of something delicious on the living room floor. If that’s you, step away from the shag. If you need durability and affordability, your best bet is to check out what kind of Berber carpet is available. Its low, densely woven fibers are known for repelling dirt and debris much more efficiently than shag carpet, and Berber's low pile height ensures that you won’t notice matting in high traffic areas. Beyond choosing a durable carpet type, you’ll also want to pick a carpet color that can stand up to daily use and sometimes abuse. Avoid whites, grays and other lighter colors, as they’ll draw attention to stains, dirt, leaves and other stray things. Look for darker colored carpets, as missteps won’t be as visible. If you want some variety in your color, seek a carpet roll or remnant with a seemingly random design. You can maximize how long a high-traffic area carpet looks good and functions well. One way is to put runner rugs atop hallway or heavily walked-on carpeting. Runners often pay for themselves because they protect the underlying carpet and help extend its life. Runners also let you choose different colors or textures for added flair. For stairways, you can buy specially designed plastic runners that provide both traction and protection. Plastic stair runners are easily affixed with metal or wood transition bars. When it’s time to buy new carpeting, take a few minutes to think about what kind of wear and tear it will need to stand up to. 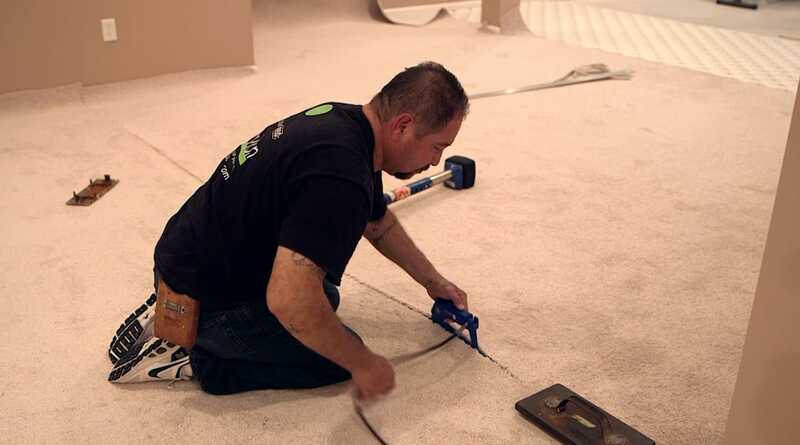 Your informed carpet-buying decision could save you thousands of dollars over time. If you're not ready to give up on the carpet just yet, carpet cleaning and stain removal may get you a few more years. Looking for a deal on carpet cleaning? We've got some suggestions! Hi, I am trying to find what is the best carpeting for high traffic and stain resistence? We have a big family and a dog. It's a high traffic area. Can you recommend a type of carpet, a brand, and where to purchase? How do I purchase carpet. How much should it cost to remove 600 sqf old carpet?